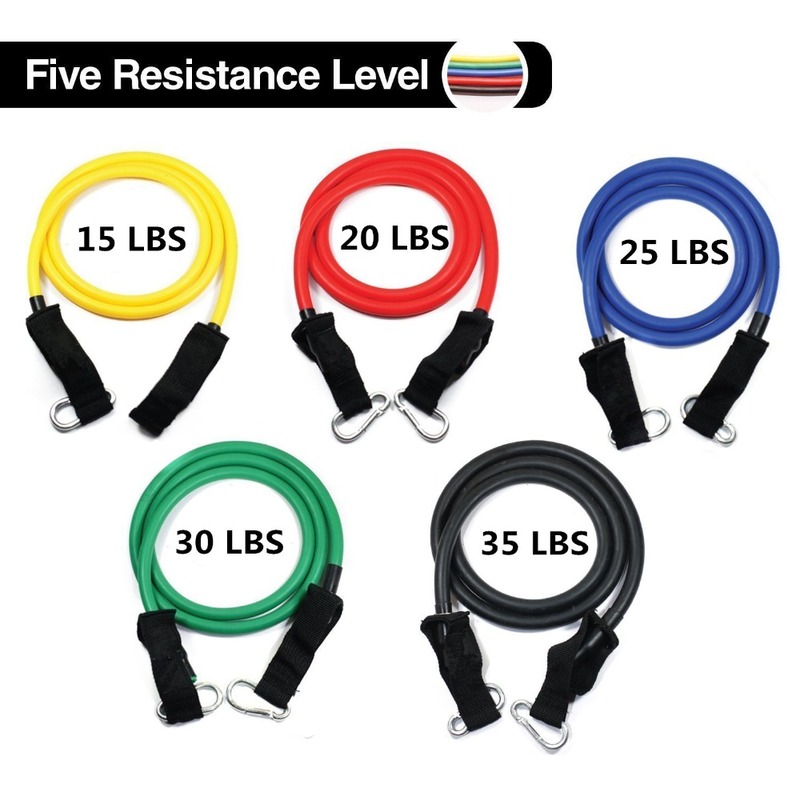 UP TO 125LBS: 5 colors resistances bands: Yellow (15 lbs), Red (20 lbs), Blue (25 lbs), Green (30 lbs), Black (35 lbs), allow to adjust resistance up to 125 lbs, providing a customizable plan for your unique goals. 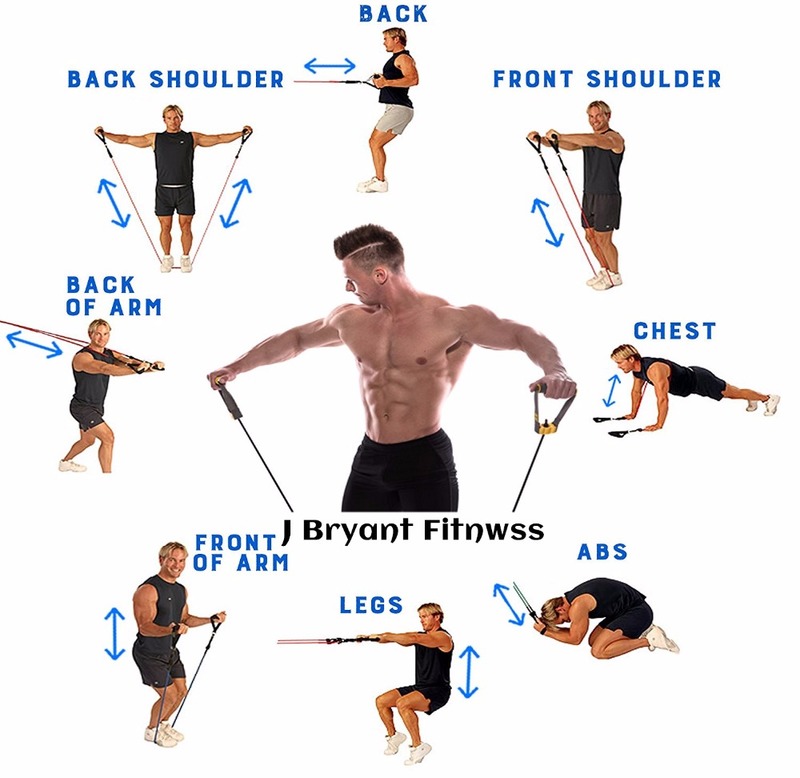 VARIOUS EXERCISE WAYS:J Bryant resistance bands set comes with handles, door anchor and ankle straps, allowing you to use resistance band in different ways to exercise different muscle groups, such as shoulder, arm, leg, back, stomach and etc. 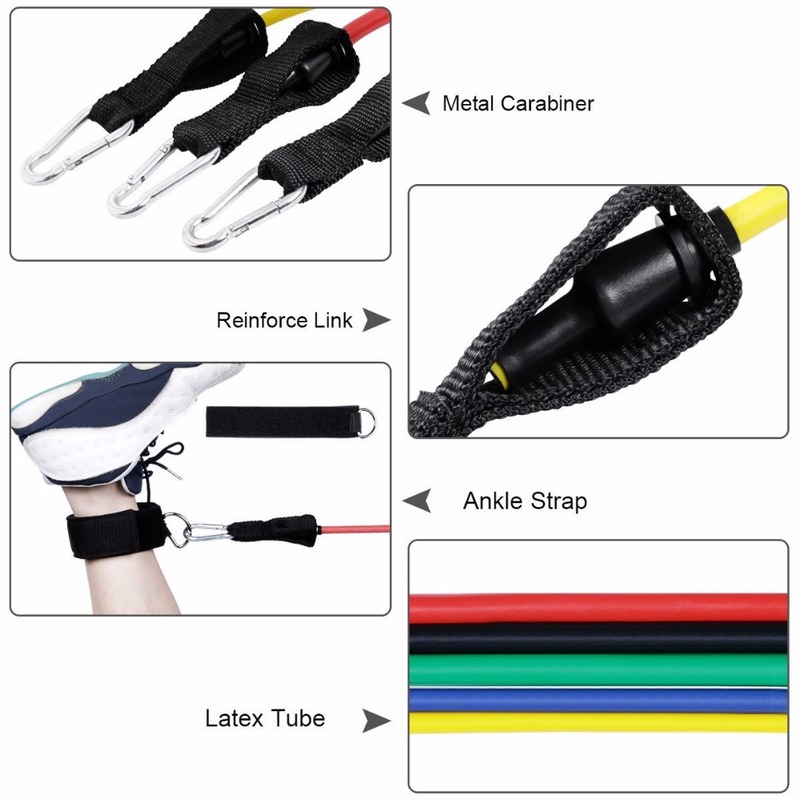 ANTI-SNAP RUBBER LATEX: These resistance bands are made of premium natural Latex to ensure exercise safety, avoiding sudden breaking during workout, this high tenacity resistance band set can be used for long time. 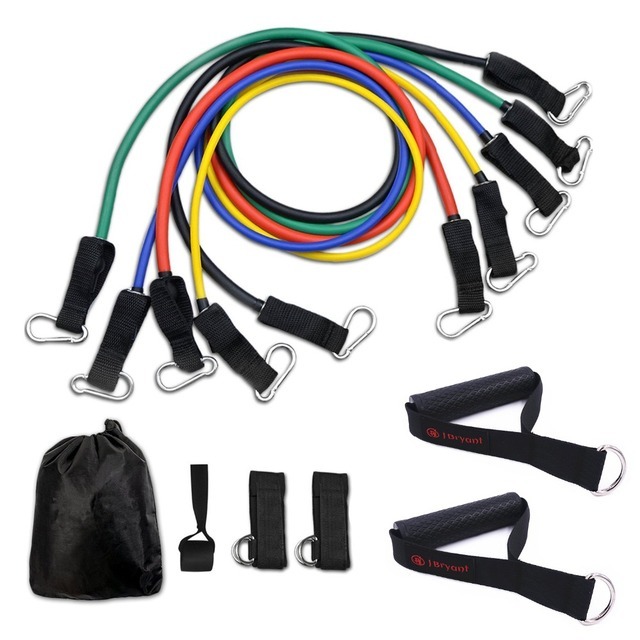 PORTABLE RESISTANCE BANDS: J Bryant resistance cords kit comes with a cloth pouch. It a great option for taking on vocation. It is very compact and does not overload your luggage. Where is my order,did not receive it as yet.??? 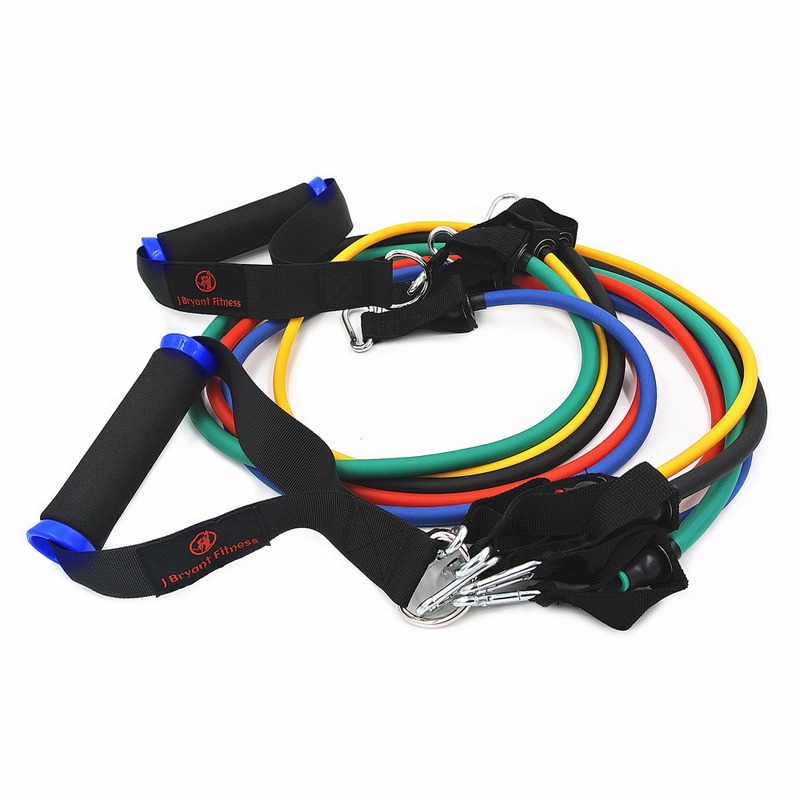 would like the partly reaver the amount payment that was made in march 2018.
product quality is good, same as seen on product description, even the handle is better than my expectation, very recommended! 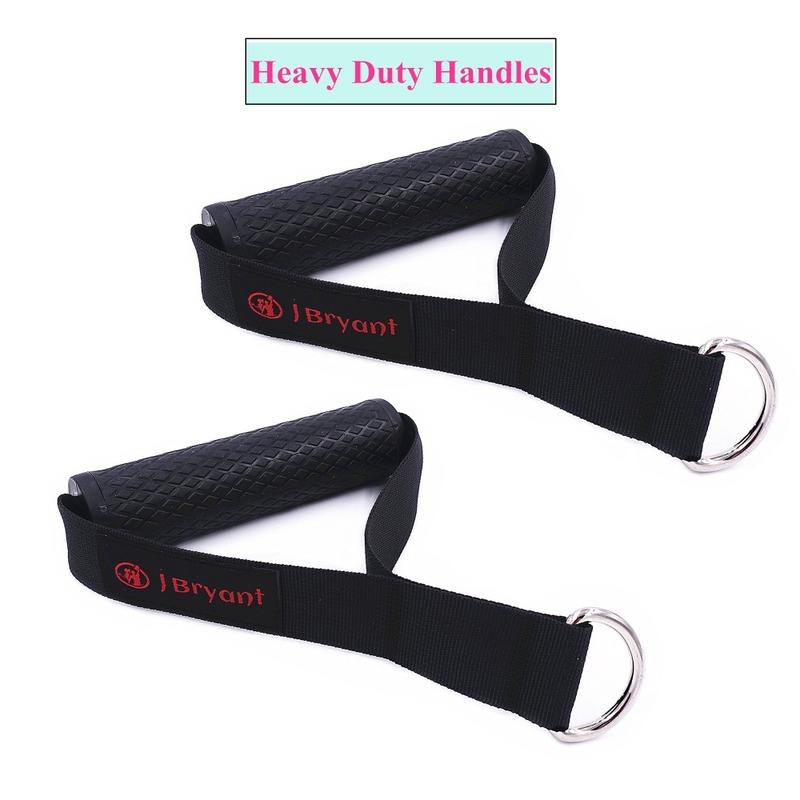 Perfect and very, very durable!! I highly recommend this seller and this item!! High Quality. All match the description. Seller recommend.